Logistics management is the governance of supply chain functions. Logistics management activities typically involve inbound and outbound transportation management, fleet management, inventory, materials handling, order fulfillment, logistics network design, supply/demand planning, and management of third party logistics services providers. To varying degrees, the logistics management is also related with customer service, sourcing and procurement, production planning and scheduling, packaging and assembly. Logistics management is part of all levels of planning and execution -- strategic, operational and tactical. If the above definition is still not clear enough for you, understand it in an easy way from the work flow diagram below. 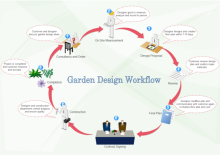 A workflow diagram can act as a project's visual overview, illustrating the project in a form easily readable to every team member. The major steps and involved parties are represented by images, offering vivid visibility. 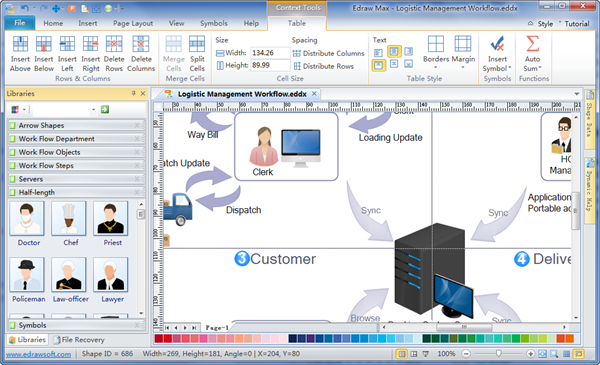 It is optimal to create your own workflow diagram in a fast and easy way. Edraw can offer such solutions for its auto connection and generation functions, the predefined shapes and well-formatted examples. Its user interface is similar with MS program, minimizing the learning curve. 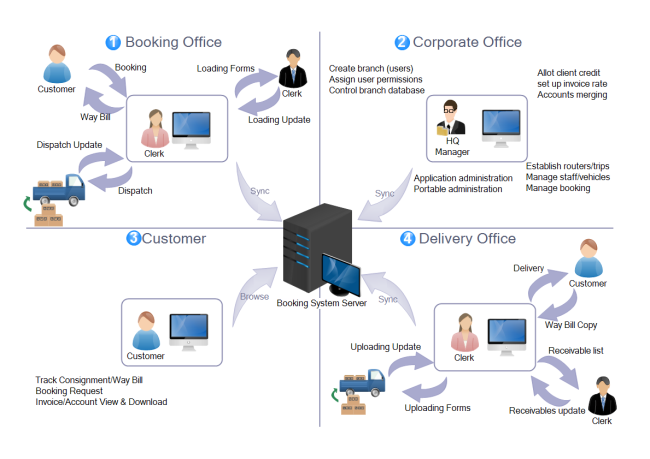 See more amazing features of it in Workflow Diagram Creator. 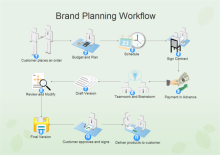 You can follow several Simple Steps to Make a Workflow Diagram. 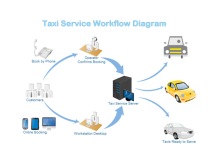 For more creative results, learn some easy methods for Customizing Your Workflow Diagram. The special part of the example above is that its steps are divided into four parts. 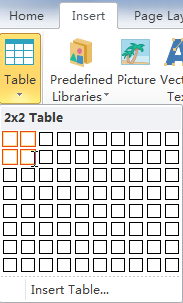 You can insert a table containing 2 rows and 2 lines to separate the steps. Drag the selection handles outwards to enlarge the table. ->Then select the table and go to Table menu to change borders' style. 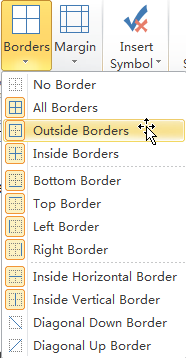 In the Table Style group, click the drop down menu of Borders. -> uncheck Outside Borders. There is a library that is very helpful for workflow diagramming, the half-length people illustrations. Open it from Illustrations group. Go to Symbols tab, and then use Text Tool to add text box to the shape. The amazing advantage of this tool is that the added text box is glued to the shape. When the shape moves, the text box also moves. 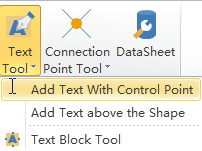 If you add text box with control point, the text box can be repositioned by dragging the control point. Therefore, you can modify shapes more easily and flexibly in Edraw, a lot easier than PowerPoint. Besides the built-in templates, a lot more templates are available for download online. Here are just a few examples. Click the link to download them. Change a background, insert your company logo or add more shapes to make it your own way. 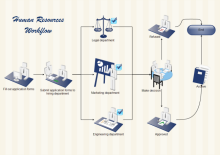 Alternatively, use free-form connectors to replace right-angle ones so that the flow direction looks fluid and smoother just like the following human resources workflow example.